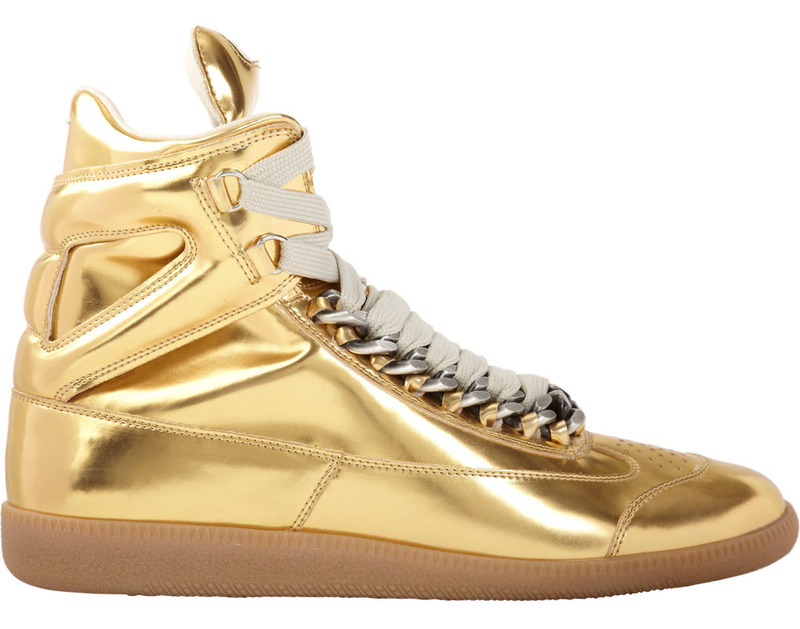 Take a look at some of the most expensive sneakers money can buy. We all know how expensive some sneakers can get on the resale market. We’ve even seen what a lucrative (albeit illegal) business that reselling can turn into. But while the sky is the limit for reseller's prices, we’ve seen that most standard basketball sneakers have topped out in the $275 range – as of now at least. While that’s the standard for kicks you’ll find at your local Foot Locker, there are more expensive kicks out there. Much more expensive. Some are from brands you’ll probably recognize, and some you may not. What do you actually get for all that money? Well, it depends on the shoe. In some cases, it’s a brand name. Others, exotic materials. For all of them, you’ll find first world construction. So read along and find out just how expensive sneakers can get at retail, and what exactly you’re paying for if it isn’t exclusivity. With high end shoes, the price often can fluctuate greatly based on the materials used. 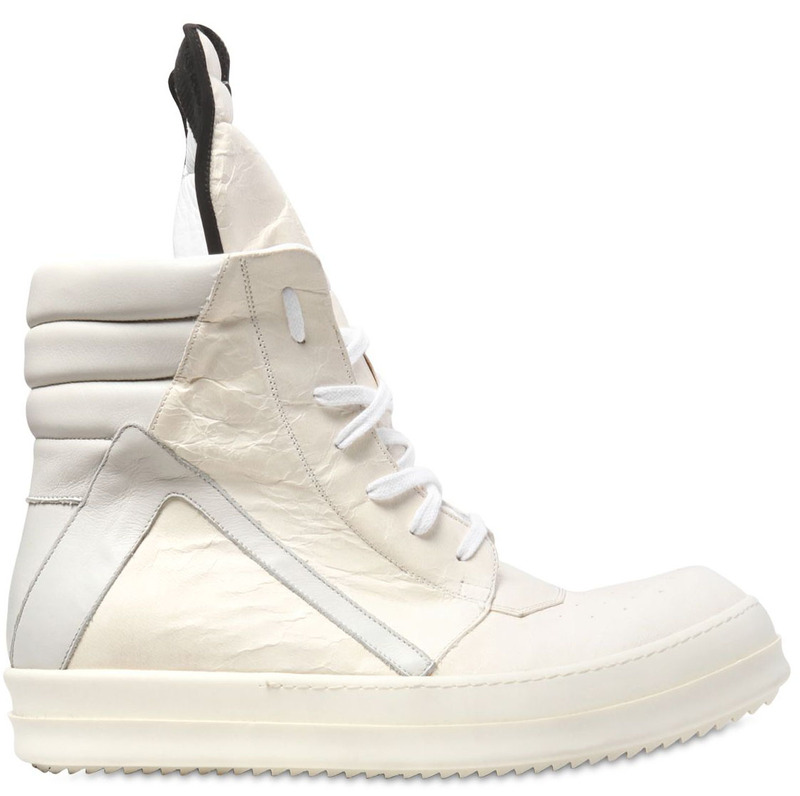 As seen further below, the Rick Owens Geobasket can retail for less than $1,400. But what if you want to opt for the iguana skin edition? That's going to cost you roughly the price of a used Honda Civic. 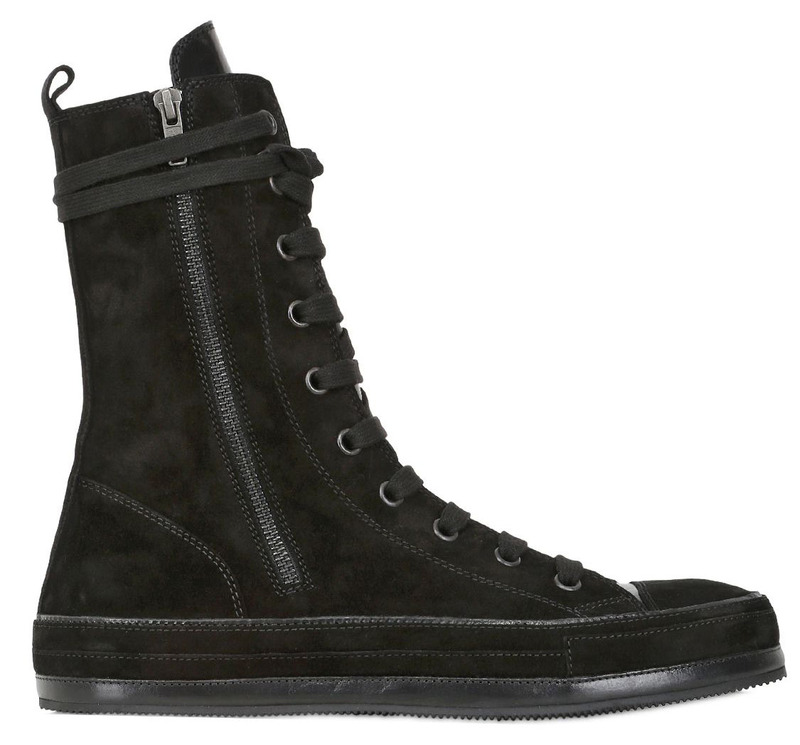 If the standard Margiela high tops aren't expensive enough this edition replaces the traditional eyelets with chain links. You'll also get their standard, premium leather lining, and one of the more comfortable shoes on this list. 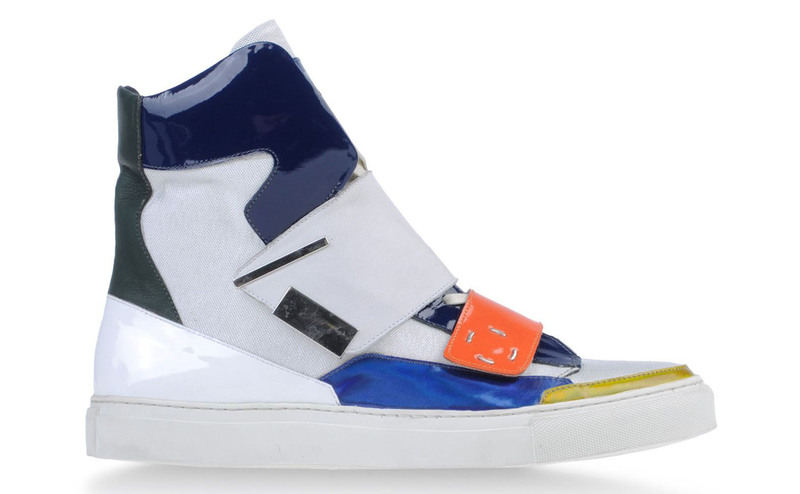 Sharp angles and multiple colors have become calling cards for Raf sneakers as of late - even their collaborations. This sneaker from thieir current line features all of those signature details, along with dual straps. 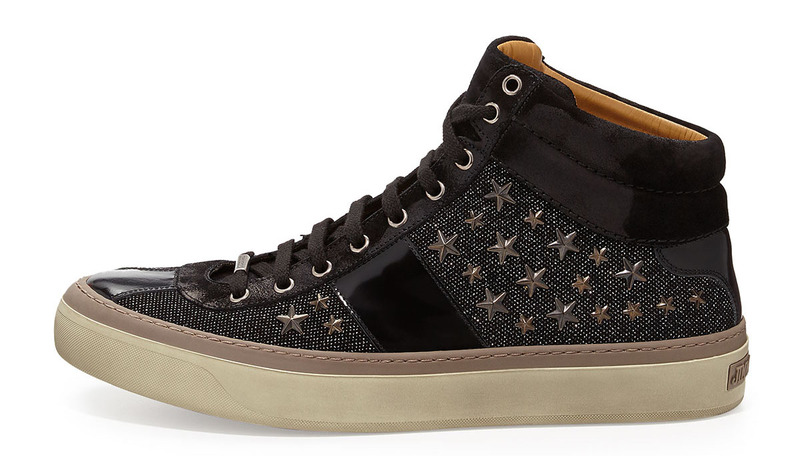 Thanks to its sky-high cut, at least you're getting a lot of premium suede with this zippered high top. 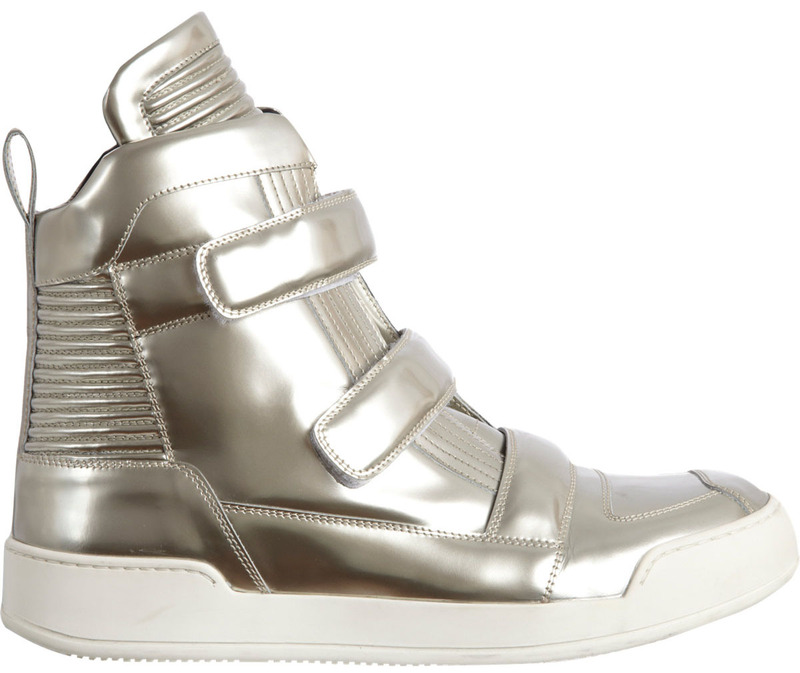 Along with her signature dark aesthetic, this sneaker comes with a leather wrapped midsole, which is common to the line. 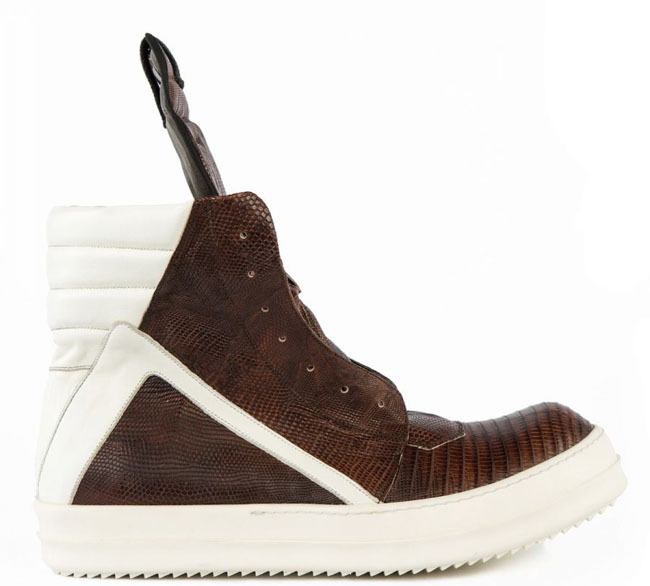 It's hard to imagine Rick Owens and adidas $800 sneakers seeming like a deal, but in comparison to the sneakers coming out of mainline Rick, like his most well known current model, the Geobasket, it's practically a steal. While not nearly as coveted as their thousand dollar signature biker denim, their sneaker line is comparatively expensive. You'll even see ribbed details that tie to their more famous line. BBS are best known for their dark aesthetic. Very little from the line is any color other than black, grey or brown. 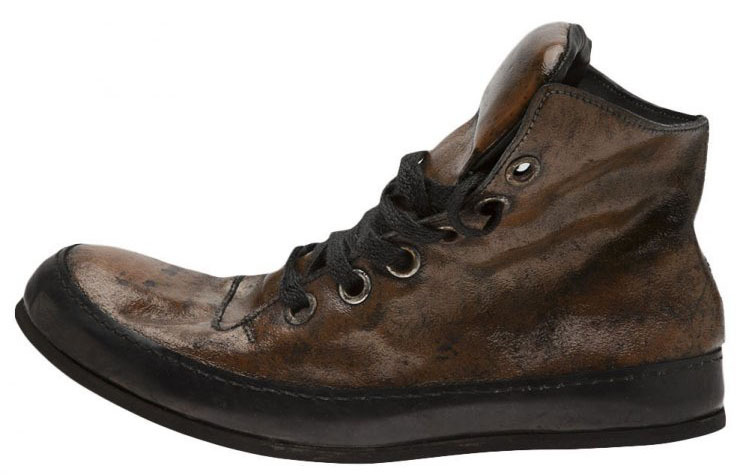 But this tan sneaker features the same build quality, leathers and design of it's darker siblings. Louboutins may be best known for their red bottoms, but that's not the only feature you're paying a premium for on this edition. 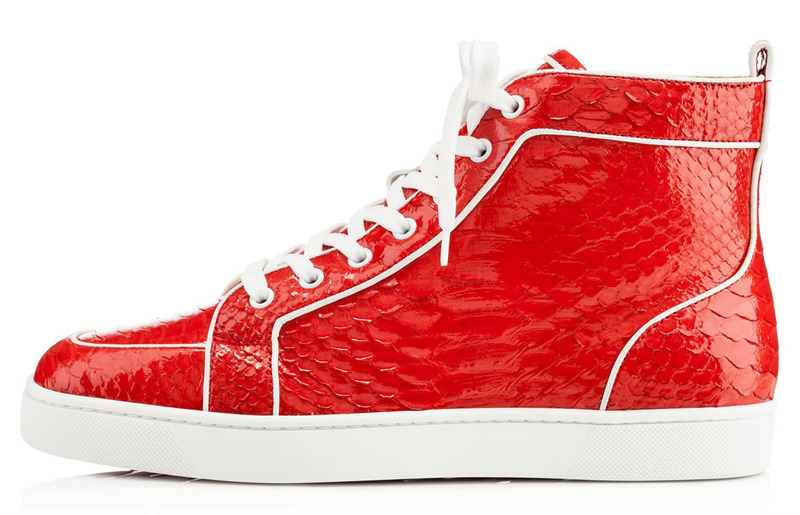 The red Python upper isn't the faux-type you see on most sneakers with snakeskin details. Calling much of Carol Christian Poell’s work “art” as much as “fashion” wouldn’t be entirely out of line. Many of his designs favor form over function. One of his signature pieces of footwear, the “Drip Trainer” is shockingly different upon first glance. 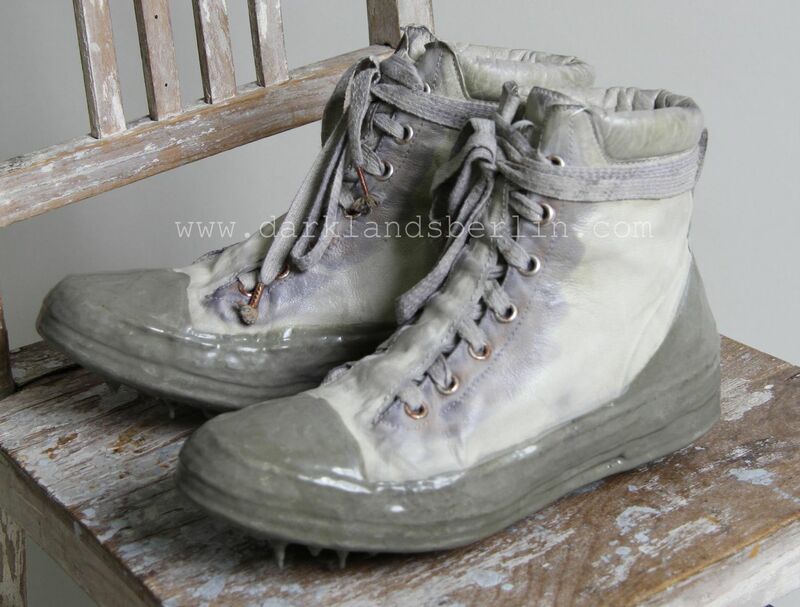 The shoe is typically built of kangaroo leather, which is then dyed as a complete product after its construction, then dipped in latex and allowed to hang dry, creating a stalactite-type effect once dry. And if you’re wondering, they don’t feel that much different than regular sneakers – especially after the rubber wears down after a few wearings. 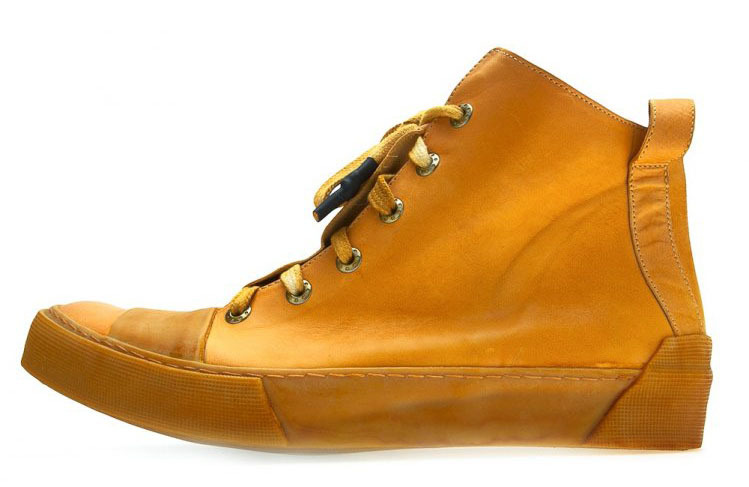 A Diciannoverventitre, aka A1923, aka Augusta, sneakers are built like boots. This artisanal line is made in Italy, often with leathers such as horse and buffalo that are borderline indestructable, and age beautifully. It's ironic that the most expensive shoe on this list probably looks the cheapest. This long-running women's line introduced men's sneakers a few years back, and while they haven't been pretty, they sure have been expensive, thanks in large part to the well-known branding.